I love this side dish with meat, pork, fish and chicken. It adds that perfect amount of comfort and sweet to balance out savory flavors. I even blend it with a little bit of water to make a lovely pureé. We try to cut carbs as much as possible and this dish takes away the cravings for potatoes. The sauce used to flavor the squash also doubles as an amazing glaze for meats too. It's easy to make and really turns a plain piece of meat into something exotic and tasty. Preheat oven to 400 degrees. Using a chef's knife, cut the squash in half. Spoon out the seeds and discard. 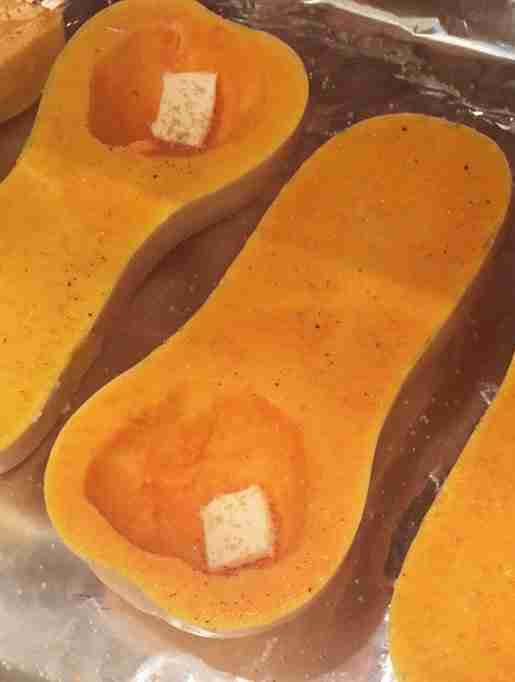 Lay a sheet of foil on a baking sheet and put the squash cut side up. Place a pat of butter in each cup of the sqaush. Sprinkle sugar in the raw, salt and pepper on to the squash. Roast the butternut squash for 30-45 mins. Check after 25 minutes. You want the squash to be soft. If not soft, continue to cook. Allow squash to cool slightly and then using a hand towel to hold the hot squash, spoon out all of the flesh away from the skin into a mixing bowl. Discard skins. Use a fork to mash the squash. 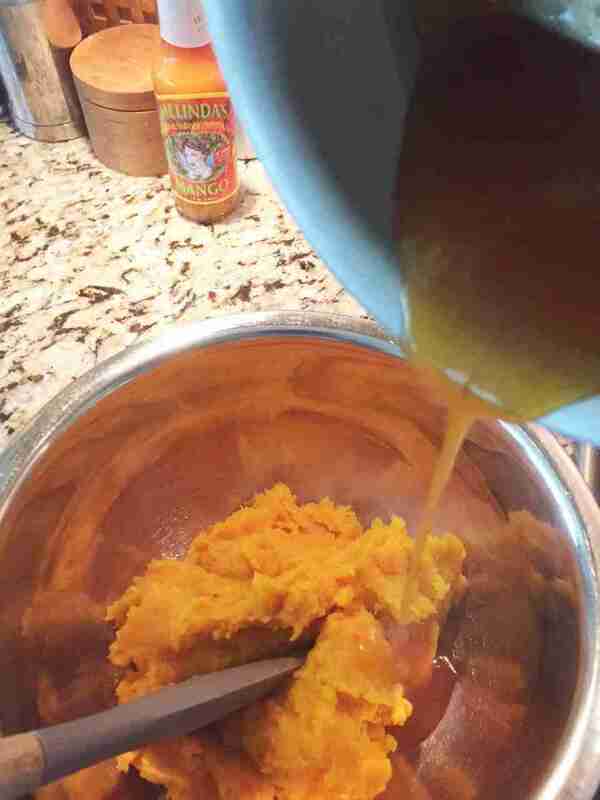 Fold the glaze/sauce into the mashed squash, thoroughly incorporating the sauce into the mixture. 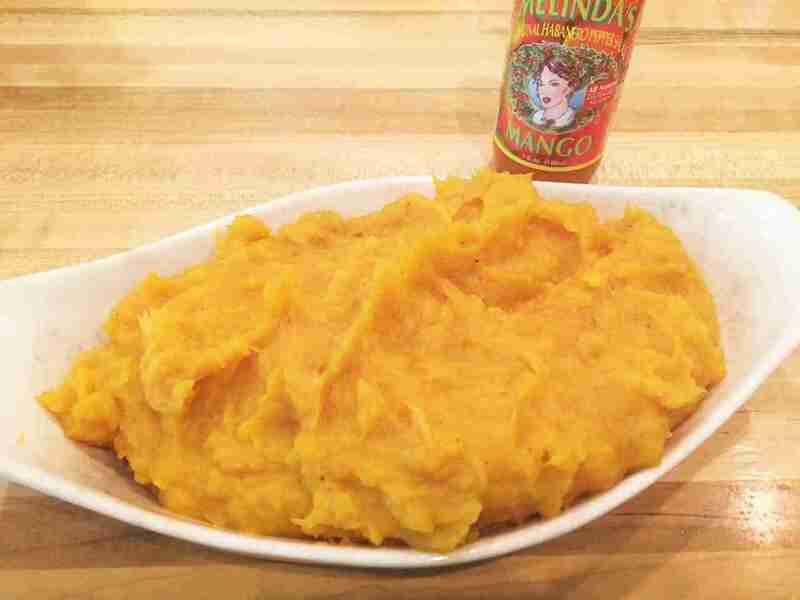 Place the mashed butternut squash into an oven safe dish and bake on 375 for 15 to 20 minutes or so prior to serving. This allows the the sugars to caramelize for ultimate deliciousness. 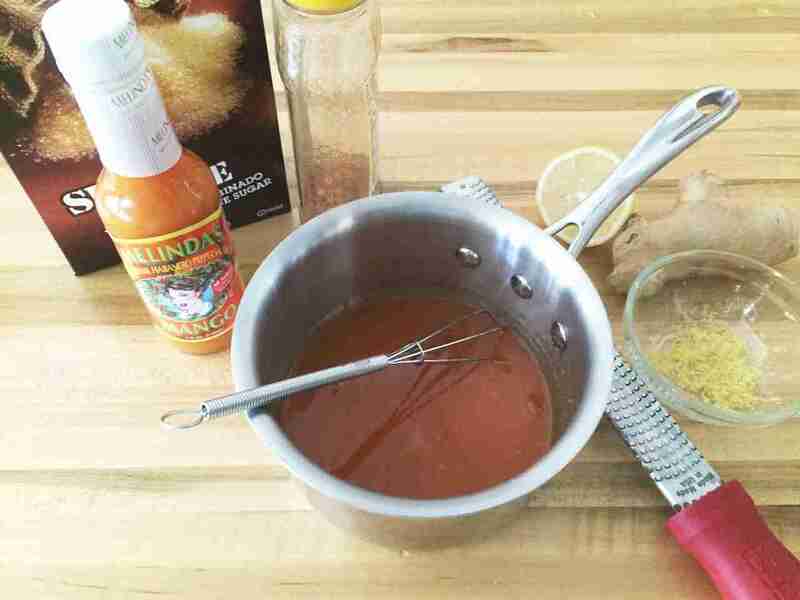 Place the Melinda's Mango Habanero Pepper Sauce, sugar, lemon juice and zest in a sauce pot and wisk together. Put over medium heat until bubbling and then lower heat to simmer. 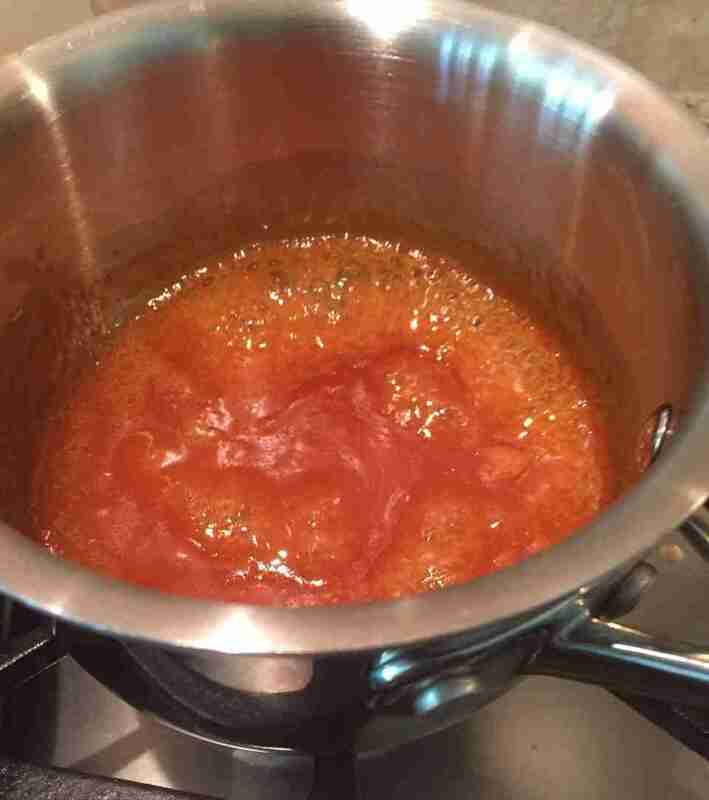 Reduce the sauce until it begins to froth. Do not overcook, otherwise your sugars will burn. This glaze/sauce is amazing on meats as well.